Good nutrition should always play an important role in your child’s life, but especially when it comes to fueling up for an extensive physical activity. Kids and teens should know the importance of what they eat and drink, and how it can make a difference in their performance. Take my daughter for example, every year she participates in an all-day school competition called Field Day. 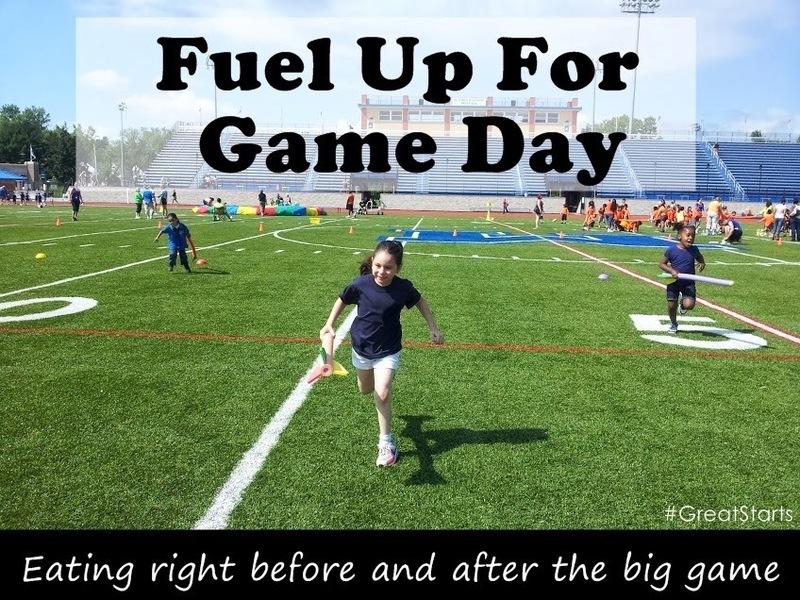 It’s an all-day sporting event that provides friendly competition for the kids, and also serves as a good way to burn off all that extra energy kids develop towards the end of the school year. Parents are always welcome to come and cheer on their kids, so I make sure to always go, to not only support and encourage her, but also provide her with the mix of foods to support her higher level of activity. Hydration is key, so make sure she is drinking plenty of water to prevent dehydration. For mealtime, I try to make sure that whatever I give her for a pre-game meal is well-digested, and is filling enough to avoid hunger during the competition. Afterwards, I give her something that is nutritional, and able to refuel her body as it recovers from her strenuous activity.